We get to have some input into the products we review for The TOS Schoolhouse review crew. ARTistic Pursuits was one of those that I hoped for from the time I first saw it listed again as a possibility. I don't consider myself artistic, and I already know how much I love that these books are easy for even me to understand. My first year on the crew I reviewed one of the Jr high books, then ended up purchasing 3 more to complete the Jr high and high school sets. (Read into that statement-- my daughter liked using these books so much that we bought more of them!) This time it was my son's turn. My son looked at the books with me and when I asked him which looked most interesting, he asked "Which one comes first?" Just because of his orderliness (that doesn't spill over into cleaning his room) I chose Book One of the 4-5th grade set for Joseph. "This book is the answer for the child who wants to learn to draw more realistically but doesn’t know where to start. It incorporates the creative aspects of making art into each lesson. 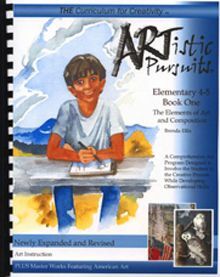 Fourth and fifth grade students can begin this book without prior knowledge of art and work independently without the need for parental instruction." Did you catch that? "Without the need for parental instruction" is a bonus. I did sit and work with my son for some of the lessons, but he was easily able to follow the directions and complete the next lesson when I was otherwise occupied. Lessons include reproductions of artwork including one from my favorite artists John James Audubon. Those full color pictures are used to illustrate the elements and techniques in each lesson and each lesson builds on the previous ones. "The book provides lessons for the completion of sixty-eight finished drawings that are both original and entirely the child’s own." Sixty-eight drawings! That is just from the lessons. When they continue to use the techniques they learn and apply it to other artwork the number even grows. Joseph has already completely filled one sketch pad and is well into filling another one. The lessons are designed to be completed twice weekly for an hour each lesson, though the first ones may not take as long. Each unit can take up to two weeks. Some of the techniques covered are horizontal and vertical positioning and filling up the white space, forming pictures with lines, and adding texture to drawings. The lessons are designed to be completed independently by children. As soon as this book arrived, Joseph took it outside. He read through the first pages and then completed this line drawing of a lantern. When I started teaching him and his sister, we started back at the beginning again. Below are their line drawings that they completed later that day. The second lesson shared a full color reproduction of Washington Crossing the Delaware and used it to help demonstrate concepts including orientation of drawings. As pictured above, the book is filled with examples each time a new concept is taught. From my almost 9 year old: "My favorite lesson so far was the fourth one. I picked an object from outside; my choice was a leaf. I looked at all the lines and details and drew exactly every little detail. I also like the pictures in the book like the one of the owls. The blindfold lesson was fun. I learned to feel the textures." Artistic Pursuits is one of my all time favorite homeschool resources. For this book, your child will need to have a few basic art supplies: ebony pencil, white pencil, metal pencil sharpener, drawing paper, black markers with point and wide tip, scratch art paper and black construction paper. A drawing board is also recommended, and simple instructions are provided for making your own. Click to read more reviews from the Schoolhouse Review Crew. This is one my all-time favorite resources too! We have absolutely loved it. Your young artists are off to a great start! Thanks, Kym. I love how easily the Artistic Pursuits books make it for me to teach something I'm not very confident with. Me too! 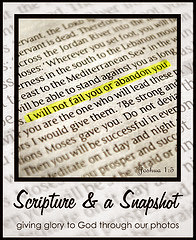 Joseph is planning to move on to the next book in the series when he completes this one.